At eEuroparts.com, our goal is to provide you with all of the Volvo 262 parts that you need for your vehicle. You will find a wide selection of Volvo 262 parts here as part of our extensive efforts to expand our inventory. The Volvo 262 was actually one of the rarest editions that was introduced as part of the Volvo 260 family lineup of vehicles. 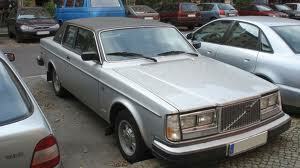 This vehicle was actually based on the 2-door body that had been originally used for the Volvo 242. The new vehicle; however, sported a different front. Only a small number of these vehicles were produced and they were only produced for the American market during a two year time period. The first Volvo 262 rolled off the assembly line in 1975 and the last vehicle was completed in 1977. Overall, there were 3,329 of these vehicles produced. This vehicle was available as a 4-speed manual or as a 4-speed manual with an electrical overdrive. A 3-speed automatic was also available. The vehicle featured hydraulic disc brakes. Due to the fact that this version is actually relatively rare, it can sometimes be difficult to find the Volvo 262 parts that you might need. In fact, the Volvo 262 is sometimes confused with another vehicle, the Bertone-built 262 C. It is important to understand that these are two different vehicles and do require parts that are specific to those models. At eEuroparts.com; however, you can rest assured that you will always find completely authentic and reliable Volvo 262 parts.